Hello Muddah, Hello Faddah! Here I am at Camp Granada . . . . 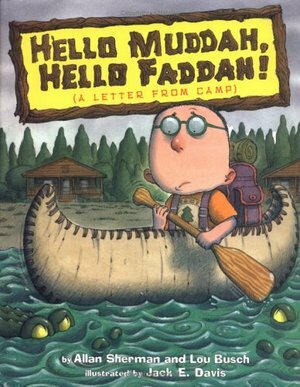 Thus begins a young camper’s letter to his parents, telling tales of rainy days, poison ivy, and alligator-filled lakes. But can Camp Granada really be that terrible? After detailing the humorous horrors of camp, however, he suddenly sees a bright side. Could this be a sunny sign of fun to come? Jack E. Davis uses his hilarious art to bring this famous camp song to life. And campers young and old will no doubt enjoy this uproarious tale.